While the demand for other sound storage media has declined, vinyl has bucked the trend. Today it has a 20% share of the global music market. The 60-year old vinyl manufacturing processes are, however, laborious and bad for the environment, requiring the use of toxic chemicals. The limited number of traditional stamping presses is also causing production bottlenecks that are hampering growth. 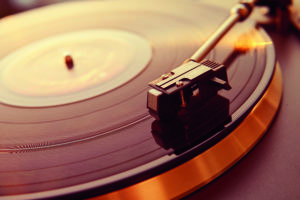 Innovation: EARTO member Joanneum Research developed a ground breaking technology for producing vinyl records that overcomes all the constraints of conventional processes – and brings with it valuable sound quality, playing time, cost and ecological benefits. The innovation is based on 3D-based topographical mapping and laser inscription technology which has the great advantage that the new High Definition (HD) Vinyl can be played on standard record players. Impact expected: As a 60% faster and 50% cheaper technology capable of producing records with more faithful sound reproduction, HD Vinyl equips the industry for the 21st century. Currently being further developed and commercialised by REBEAT Innovation, HD Vinyl is expected to stimulate significant market growth. It is predicted that the vinyl market will achieve a 50% share of the total music storage market by 2023 and that over 290 million HD Vinyl records will be produced by 2026. Joanneum Research is an Austrian RTO which focuses on application-oriented research and development projects to promote technology transfer into the economy.